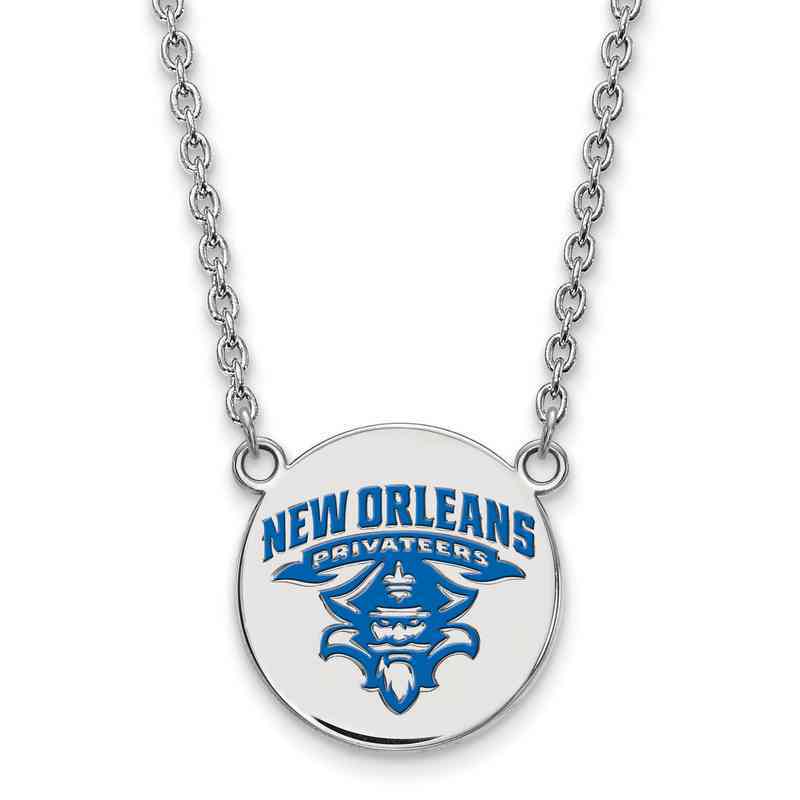 Let everyone know which university you are supporting for, with this University of New Orleans pendant necklace. Set in sterling silver with polished finish, from LogoArt this 19mm large pendant displays enameled logo design on round disc for an unique appeal. An 18-inch long lobster clasp cable chain is included. Manufacturer direct from a trusted supplier.